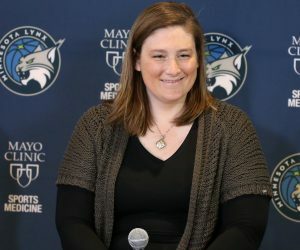 Down 1-0 in a best-of-five series and in their final home game before hitting the road for Game 3, the Minnesota Lynx wanted to come into Game 2 firing on all cylinders. They were doing just that on Tuesday night in front of an announced crowd of 11,434 at Williams Arena. Minnesota bounced back to take Game 2 by a score of 70-68 and even the series at 1-1 heading back to Los Angeles. The Lynx led by as much as 20 points in the game, but much like Minnesota did in Game 1, Los Angeles fought back to bring it down to a two-point game in the final seconds. 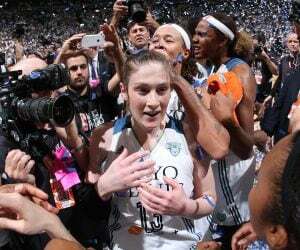 The Lynx ended up getting a game-winning stop on the defensive end to come away victorious. 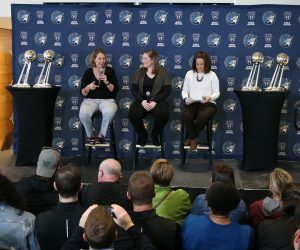 “We did so many things well. . .Overall, we were a much better defensive team than we were in Game 1 and that’s how we won the game,” Lynx head coach Cheryl Reeve said after the game. “Look at the talent on both sides, look at what both teams believe in in terms of the intangibles. That’s why you get this. There’s great players on both sides and I think we are equally as hard to play against. It was a pretty balanced attack for the Lynx in the game, with all five starters reaching double-figures in scoring in the game. Candace Parker finished with 17 points (all in the second half), six assists and five rebounds and Chelsea Gray had 15 points and four assists to lead Los Angeles. Nneka Ogwumike had 11 points and 13 rebounds, Odyssey Sims had 10 points and five assists and Essence Carson had nine points off the bench. Now, with the series tied 1-1, both teams now basically see themselves in a best-of-three series heading into Game 3 on Friday night at STAPLES Center in Los Angeles. With 3:56 left in the first quarter and the shot clock winding down, Renee Montgomery pulled up from the logo and sunk a three as the shot clock expired. That gave Montgomery her first points of the night and gave the Lynx a 20-9 lead in the opening quarter. 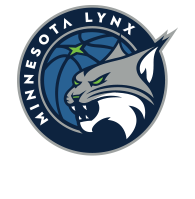 The Lynx finished shooting 44.4 percent from the field in the game, while the Sparks shot 38.7 percent. Minnesota out-rebounded Los Angeles 36-29 in the game and held a 6-2 advantage in blocks. The Lynx had 10 second-chance points, while the Sparks finished with two. Tuesday night’s Lynx Player of the Game goes to the 2017 WNBA MVP, Sylvia Fowles. Fowles finished with 13 points (shooting 5-for-9 from the field), 17 rebounds and two blocks in the game. Her 17 rebounds are a new WNBA Finals record. 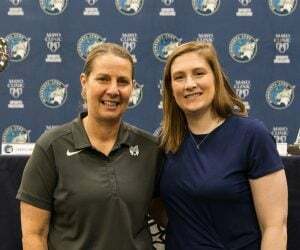 The Lynx will hit the road to take on the Los Angeles Sparks in Game 3 of the WNBA Finals at 7 p.m. (CT) at STAPLES Center. The game will be aired on ESPN2, 106.1 BOB FM, TuneIn Radio and the Lynx App. Make sure to follow along on Twitter and back here at LynxBasketball.com throughout the days leading up to the game and for all the action from STAPLES Center in Los Angeles during Game 3 of the Finals.